You like Solution Manager? You love innovative solutions? If you are in the Pharmaceutical or Food-processing industry, you probably had to comply to stricter and stricter regulations over the last decades. The documentation, in particular, is subject to many rules regarding the approval of their processes, and the Digital Signature (DS) feature in Solution Documentation is generally a good answer to some of these rules. 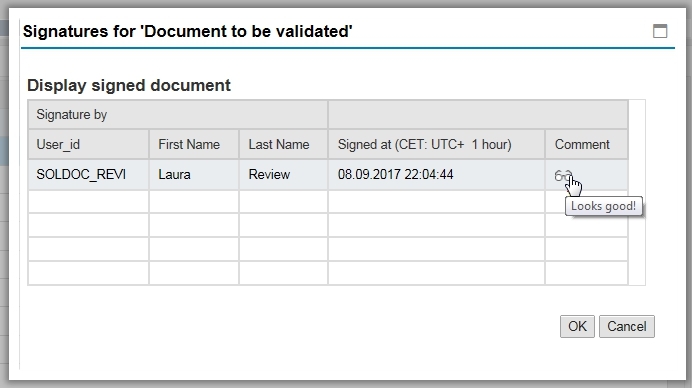 The Digital Signature is not new, nor exclusive to SAP Solution Manager for that matter, but is not very well documented in the case of SolMan. There is little about DS that has been shown in the 7.2 version, most likely because its workflow is very similar to 7.1. One of the best and only configuration guide remains the “2010 Digital Signature Tool Implementation Guide” attached to the SAP Note 700495. 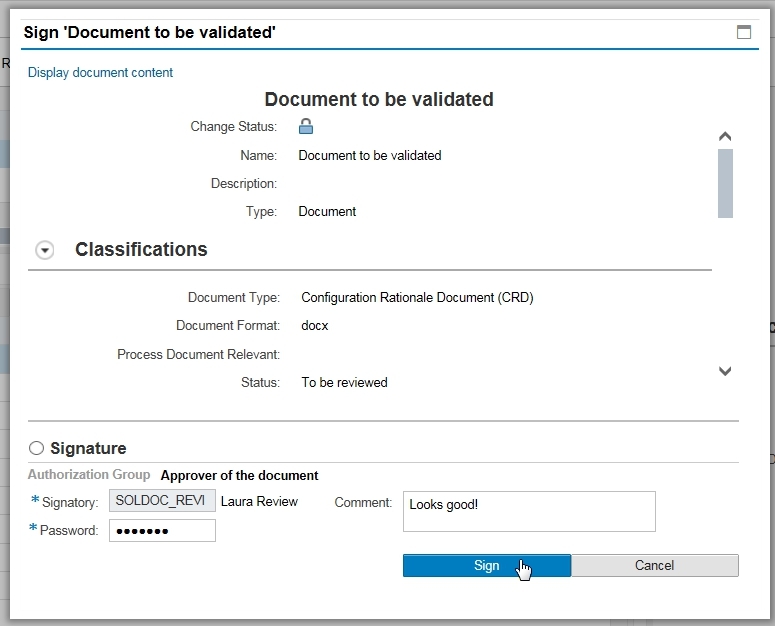 All configuration activities are part of SOLMAN_SETUP -> Process Management -> Step 3 – Configure Digital Signature. 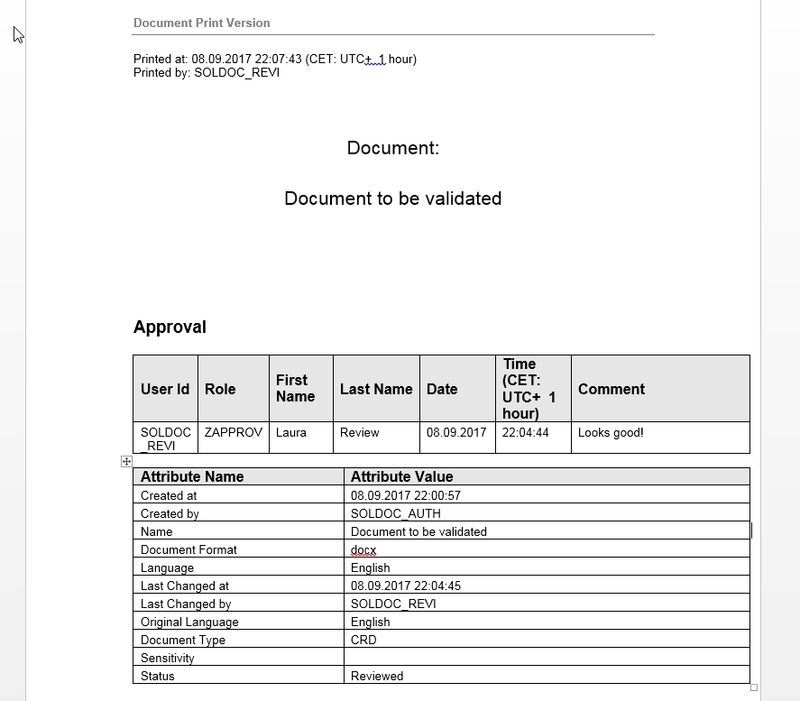 Every document that has been signed generates a printable version (see limitation below), with additional validation information such as the signatory name, the signature date, etc. You can define authorization groups to restrict who should be signing first, second, third, etc. I’m unable to see the sign option under context user menu, is there any additional config required for its visibility? You need to configure the Digital Signature schema first, and assign it to the target Document Type. Please provide steps ( How to configure Digital Signature Schema & How to assign to target document type) / or / Please share a step by step document if you have. As mentioned, you can follow implementation steps from SAP Note 700495. If the document does not cover your needs, then you can contact us for consulting expertise. I was told from SAP, that Solution Manager 7.2 is not supporting digital signature with SSO (PKI), just by user + password. Has this meanwhile changed? If yes, what needs to be configured for this signature method? Thanks for the post, that was very informative. Is it possible to set up an approval procedure for the documents in process management?